celebrates the region’s iconic walks and appeals to adventure lovers while offering an exciting programme suitable for everyone in the family, from kids to seasoned hikers. Walk in the Knysna forest. Keurbooms beach” says festival founder Galeo Saintz. 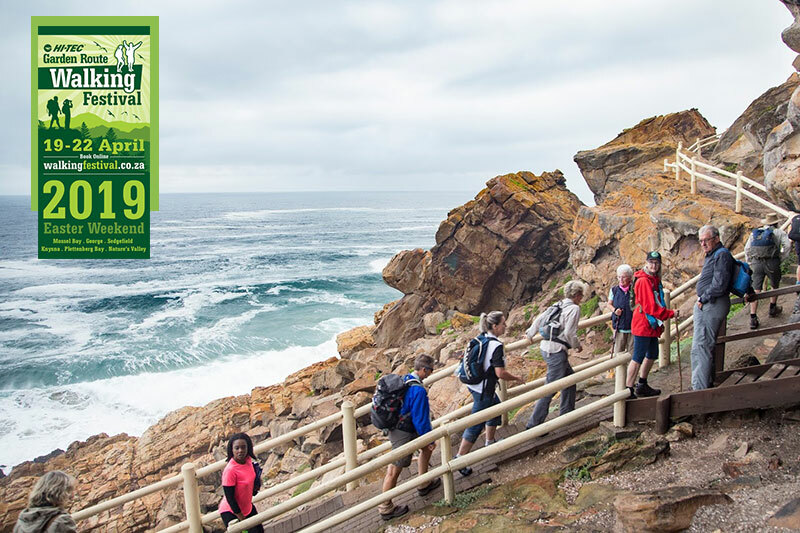 adventurous spirit tough hikes along the rocky coast are a must and the one not to miss is the Oystercatcher Trail experience. Garden Route environmental charities and conservation projects by showcasing their work and facilitating donations contributed by walkers. “Join us for fun Jme out, meet new friends and discover hidden gems off the beaten track. This festival is ideal for families and everyone keen to discover new trails,” concludes Saintz. Registration is free and necessary to coordinate numbers. Most walks are free, while others require SANParks or CapeNature permits or guiding fees.